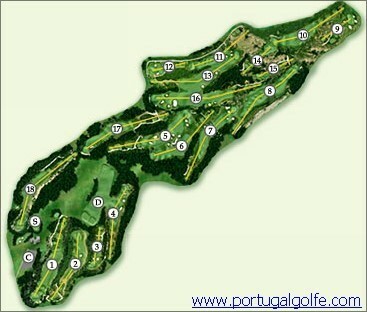 Located in the Natural Park situated between Cascais and the hills of Sintra, it is a course that has been designed to take advantage of its environment and the sea views through the pine wood forest surrounding the holes. From Lisbon take the A5 motorway until the very end of the road and then follow the traffic into Birre and to Torre. Then follow the signs to Quinta da Marinha and the actual course. From Cascais take the coastal road west to Guincho. 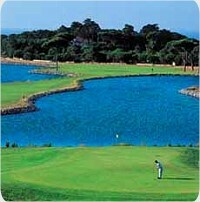 After leaving Cascais you will find Quinta da Marinha on the right hand side and the directional sign for the course. Best course I have ever played IMHO. Greens magnificent. 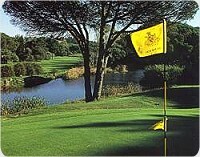 Par 3 #12 at 214 metres stays in the memory. Spectacular views at times. Watched the Portuguese Open on TV here in early April and cameras don't do it justice.